PACCAR Achieves Good First Quarter Revenues and Profits - DAF Trucks N.V.
First quarter 2017 net sales and financial services revenues were $4.24 billion compared to $4.30 billion for the first quarter of 2016. PACCAR earned net income of $310.3 million ($.88 per diluted share) in the first quarter of this year compared to a net loss of $594.6 million ($1.69 per diluted share) in the same period last year. PACCAR earned adjusted net income (non-GAAP)1 of $348.0 million ($.99 per diluted share) in the first quarter of 2016, excluding a $942.6 million non-recurring charge for a European Commission (EC) settlement. Consolidated net sales and revenues of $4.24 billion. Net income of $310.3 million. Truck, Parts and Other gross margin of 14.1%. PACCAR Parts revenues of $786.7 million and record pretax profits of $151.7 million. Cash generated from operations of $610.5 million. Research and development expenses of $61.0 million. Manufacturing cash and marketable securities of $2.89 billion. Stockholders’ equity of $7.08 billion. 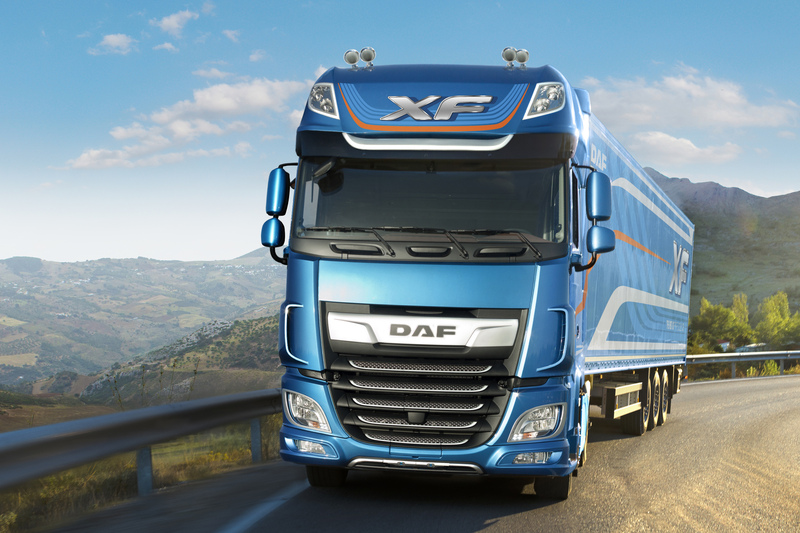 DAF recently introduced their new 2017 XF and CF trucks at the Commercial Vehicle Show in Birmingham, U.K. These excellent new vehicles incorporate advanced aerodynamics, enhanced powertrain performance and lightweight materials to provide customers with up to seven percent greater fuel efficiency. Sophisticated computational fluid dynamics tools were used to optimize the new trucks’ aerodynamic performance. The PACCAR MX-13 and MX-11 engines have higher efficiency combustion, turbocharging and aftertreatment systems that are electronically integrated with the new automated 12 speed transmission to optimize performance at lower engine speeds. The PACCAR MX-13 engine offers new power ratings that provide up to 530-hp and 1,900 lb-ft of torque. “U.S. and Canada Class 8 truck industry orders were 40 percent higher in the first quarter of 2017 compared to the same period last year,” said Darrin Siver, PACCAR senior vice president. “The truck market reflects the good economy and steady freight demand. Peterbilt and Kenworth achieved 32 percent share of U.S. and Canada Class 8 truck industry orders in the first quarter this year. Class 8 truck industry retail sales for the U.S. and Canada in 2017 are expected to be in a range of 190,000-220,000 vehicles. 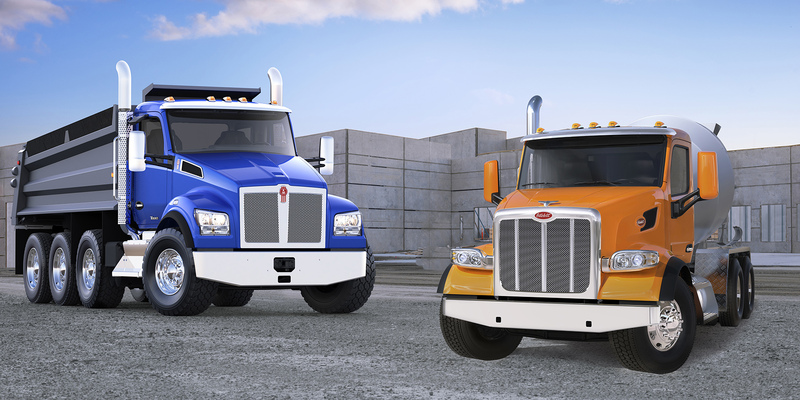 Kenworth and Peterbilt recently introduced set-forward front axle (SFFA) vocational models. The durable and reliable Kenworth T880S and the Peterbilt Model 567 SFFA trucks are designed to optimize weight distribution and maximize payload in construction, concrete mixer and other applications supporting infrastructure investments. The Kenworth T880S and Peterbilt Model 567 are powered by the PACCAR MX-13 engine with up to 510-hp and 1,850 lb-ft of torque, or the PACCAR MX-11 engine providing up to 430-hp and 1,650 lb-ft of torque. “Kenworth and Peterbilt have an excellent history of leading the vocational truck segment. The new Kenworth T880S and Peterbilt Model 567 enhance this legacy and provide customers with a breadth of configurations designed for their specific applications,” said Gary Moore, PACCAR executive vice president. PACCAR Parts’ 17 parts distribution centers support over 2,100 DAF, Kenworth and Peterbilt dealer service locations. PACCAR Parts achieved record quarterly pretax income of $151.7 million in the first quarter of 2017, which was 13 percent higher than the $134.6 million earned in the same period last year. PACCAR Parts generated revenues of $786.7 million in the first quarter of 2017, nine percent higher than the $719.5 million reported in the same period last year. 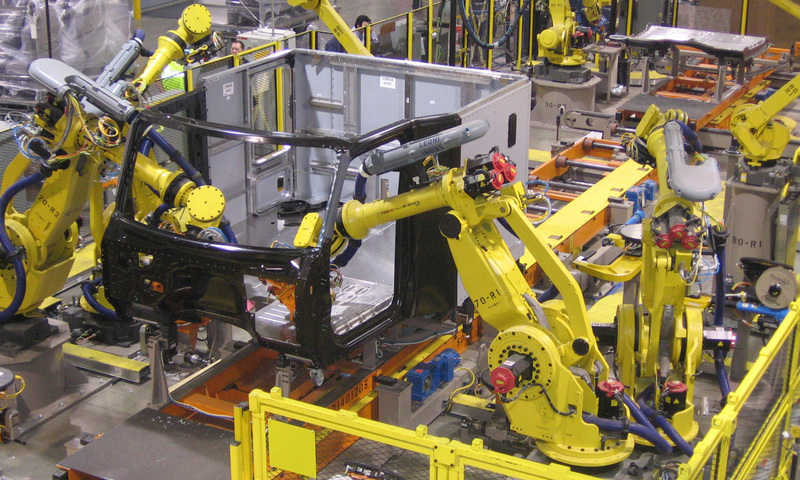 “PACCAR Parts has achieved eight percent average annual sales growth over the last 15 years. This superb performance has been driven by ongoing investments in PACCAR Parts and dealer facilities, expanded PACCAR-branded and TRP product lines, and an increased number of PACCAR trucks and engines in operation,” said David Danforth, PACCAR Parts general manager and PACCAR vice president. PACCAR Financial Services (PFS) has a portfolio of 178,000 trucks and trailers, with total assets of $12.27 billion. PACCAR Leasing, a major full-service truck leasing company in North America and Europe with a fleet of 37,000 vehicles, is included in this segment. PFS’ first quarter 2017 pretax income was $57.3 million compared to $80.3 million earned in the first quarter of 2016. PFS achieved first quarter 2017 revenues of $302.2 million compared to $289.4 million in 2016. “PFS’ portfolio performed well during the first quarter of 2017.” said Bob Bengston, PACCAR senior vice president. “The industry’s lower used truck values in the U.S. and Canada impacted PFS’ quarterly results. Used truck demand is increasing and prices have stabilized.” PACCAR’s strong balance sheet, complemented by its A+/A1 credit ratings, enables PFS to offer competitive retail financing to Kenworth, Peterbilt and DAF dealers and customers in 24 countries on four continents. PACCAR’s excellent long-term profits, strong balance sheet, and intense focus on quality, technology and productivity have enabled the company to invest $6.2 billion in world-class facilities, innovative products and new technologies during the past decade. “In 2017, capital expenditures of $375-$425 million and research and development expenses of $250-$280 million are targeted for truck and powertrain product development, enhanced manufacturing facilities and aftermarket support programs,” commented George West, PACCAR vice president. PACCAR will hold a conference call with securities analysts to discuss first quarter earnings on April 25, 2017, at 8:00 a.m. Pacific time. Interested parties may listen to the call by selecting “Q1 Earnings Webcast” at PACCAR’s homepage. The Webcast will be available on a recorded basis through May 2, 2017. PACCAR shares are traded on the Nasdaq Global Select Market, symbol PCAR. Its homepage is www.paccar.com.